For a limited time, gamers can try out the Splatoon 2 Special Demo and a free-trial of Nintendo Switch Online. If you're not one of the many players enjoying Nintendo Switch's colorful shooter, there's a new opportunity to do so. The Splatoon 2 Special Demo is available to download starting today and, if it happens to tickle your fancy, you can get the full game at a 20% discount when purchasing it from the Nintendo eShop. The Splatoon 2 Special Demo will be available for Nintendo Switch Online subscribers and runs from 7 AM PT on March 19 to 6:59 AM PT on March 25. 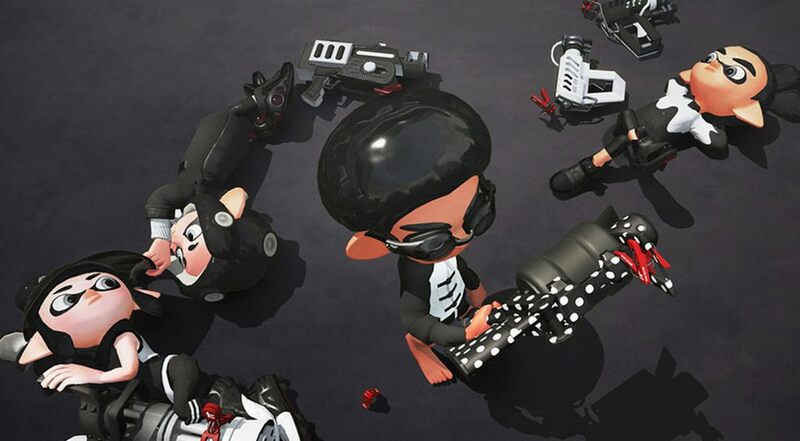 Those that have Nintendo Switch Online subscriptions and are curious about Splatoon 2 can download the Special Demo and access the 4v4 Turf War matches along with Salmon Run, League Battle, and Ranked Battle modes, matchmaking with other Splatoon 2 Special Demo players and those that have the full game. If you don't have a NSO subscription, you'll have a code sent to you via email after downloading the Splatoon 2 Special Demo. The code is good for a seven-day Nintendo Switch Online free trial. Even if you've used a Nintendo Switch Online trial previously, you're still eligible for this one. Nintendo recently announced online tournaments for Splatoon 2, so now is your chance to get in the mix and sharpen your skills. All of the progress that you make within the Splatoon 2 Special Demo will be transferable to the full game if you decide to purchase. You can purchase Splatoon 2 on Nintendo.com or via the Nintendo eShop on the Nintendo Switch. 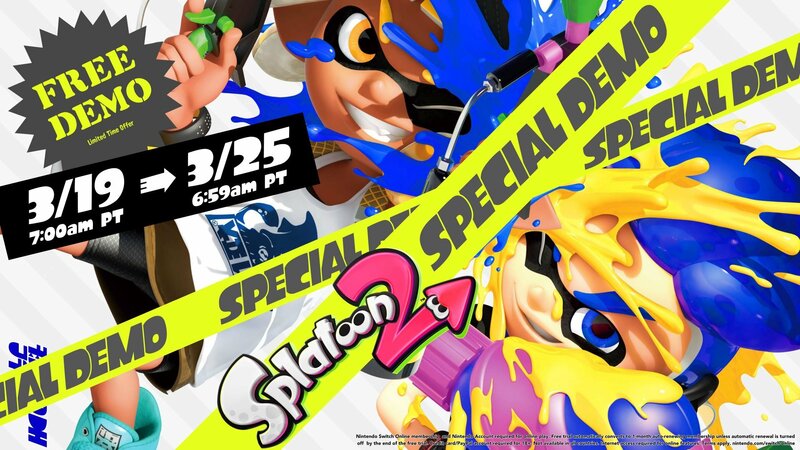 Don't forget, the Splatoon 2 Special Demo can be downloaded now but online play starts at 7AM PT March 19 and ends at 6:59 AM PT March 25. Stay tuned to Shacknews for additional gaming and tech updates.